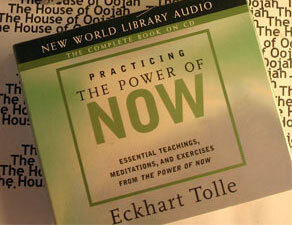 Eckhart Tolle is emerging as one of the most original and inspiring spiritual teachers of our time. He travels and teaches throughout the world.Eckhart is not aligned with any particular religion or tradition, but excludes none. His profound yet simple and practical teachings have helped thousands of people find inner peace and greater fulfillment in their lives. At the core of his teachings lies the transformation of individual and collective human consciousness - a global spiritual awakening.Eckhart was born in Germany and educated at the Universities of London and Cambridge. At the age of twenty-nine, a profound spiritual transformation virtually dissolved his old identity and radically changed the course of his life. The next few years were devoted to understanding, integrating and deepening that transformation and marked the beginning of an intense inward journey. Later, he began to work with individuals and small groups as a counsellor and spiritual teacher.